So what’s the best use of this feature and what makes the perfect match? I’ve done some thinking on the topic, as googling for what other people have written has turned up precious little. In other words, no more than a few ‘How to..’ posts from tech news websites (around Feb to Oct 2016). 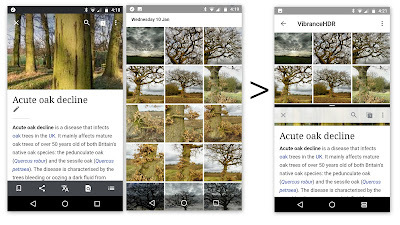 Google Android themselves produce a few lines too at the help page, nothing more than a ‘hold the square, choose an app, see two at the same time’. 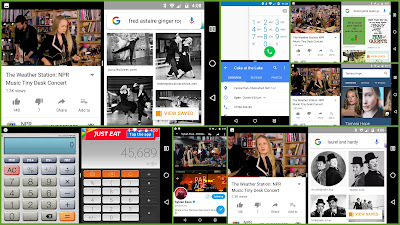 Part One in the video looks at how having 70 Apps (in my case), will produce some Birthday Paradox math that means (70x69)/2= 2,415 possible combinations. Where your most used 10 Apps will produce (10x9)/2= 45 combinations. "On average, it takes more than 2 months before a new behavior becomes automatic — 66 days to be exact. And how long it takes a new habit to form can vary widely depending on the behavior, the person, and the circumstances. In Lally's study, it took anywhere from 18 days to 254 days for people to form a new habit" (jamesclear). Which means even if you (or me) learned Split Screen and started to use it - it may take a whopping 66 days before the behaviour in us was automatic. I also consider where we have come from before computers. Like watching a TV, then having that addictive second screen (to follow a hashtag on twitter). And also the time when we had just books and a pen and some paper. One theme is the simple act of reading in one place, thinking then writing in another. Everyone has a mobile that is SO PERSONAL to them. For me, Split Screen is getting to me more autonomous. I am privileged in that my Moto G4 has a 5.5 inch screen - that’s pretty big as mobiles go. 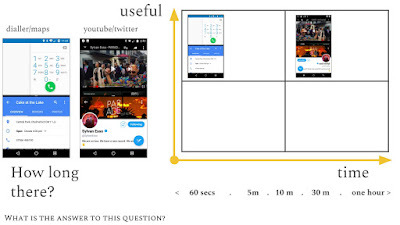 I’m still working on the chart of How Useful? versus How Much Time? In Part Two, I talk about how Maps/Dialler is very useful yet short lived, less than a minute maybe (where it’s see a phone number, open Split Screen with phone dialler and make the call). 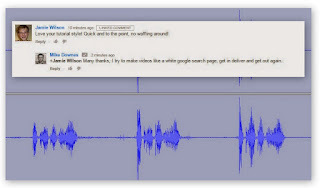 A Most Useful and Long Time use maybe YouTube Live Video and Twitter - where you are watching an event then following the hashtag and tweeting. This is a mini version of the old school BIG TV and 2nd Screen tablet/laptop. 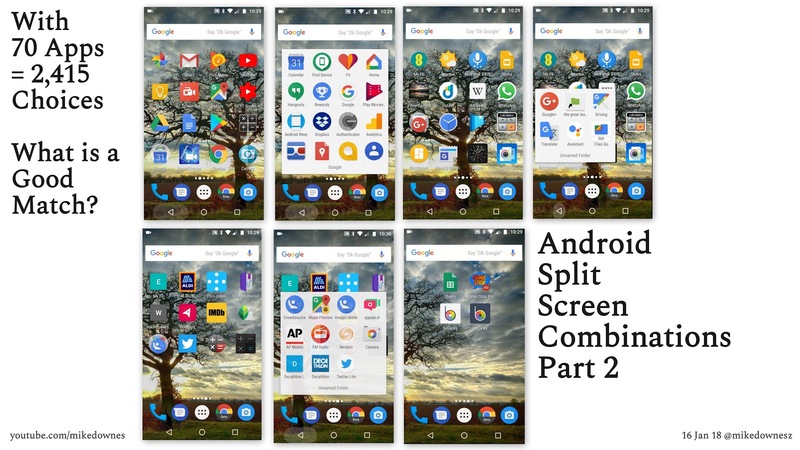 I make video lessons to help people learn - in this case, I helped myself learn about Android Split Screen and then shared it publicly. Seven or eight years ago, there was a buzz and beta and all this openness and transparency. Change happens and I’m not convinced we are all that PUBLIC beta and open anymore. Maybe the planet has SO MANY on the web now, it’s just so hard to find what you need. Or how we never seem to get past page 2 of google on anything we search for. I digress..
Bottom line for now - How I need to ruminate on Android Split Screen for a while, let it fade a bit and usually I have more to give. The Playlist has a 60 sec trailer then parts One and Two ..